I have started watching more and more shows once again. Some I am re-watching others I am just starting. As always I am getting hooked on these shows and would honestly watch them over and over again. 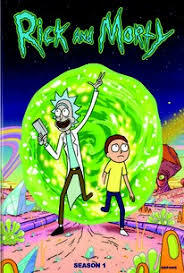 Rick and Morty is something I watched one episode of with Liam and I wasn't too keen however the other week we sat and watched this properly and wow I am hooked. I think we ended up watching about 7/8 episodes and I can't wait to watch more. It has really surprised me that I like this as it is something I probably wouldn't normally watch. Ah Total Divas half my favourite wrestlers all on one show. It is great getting that little insight into their everyday lives and life dealing with injuries. I have now watched all the episodes currently on the WWE Network and am so excited to watch the new series when it is released and Total Bella's in September. After watching this some of the wrestlers really did become more of a favourite than before. 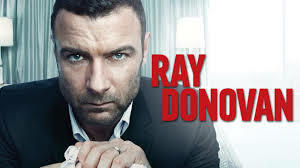 Ray Donovan is a show I watched from the beginning, if you ask Liam he will say this is just due to Kate Moennig been in it. But really this is a show that really dragged me in. So with the new season just starting I want to go back and re-watch all the previous episodes. I am also hoping to get the DVD's just after my birthday. each character adds some different elements to the show although I do believe that Kate's character is hugely underrated. After watching Ray Donovan, I wanted to watch more Kate Moennig videos and this is how I got hooked on This Just Out once more. 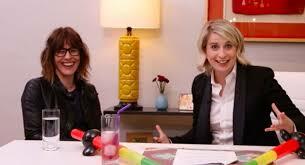 This just out is a YouTube show hosted by the amazing Liz Feldman and has the most amazing guest on for fun little interviews and even the amazing game of Who's Gayer (seriously go watch an episode on YouTube). I have started this from the very beginning once more and it is still as fun to watch as the first few viewings. So there you go that's what I have been watching. What have you watched? Any recommendations?